The numbers are nuts; mobile gaming is growing at a ridiculous rate. Overall, in the U.S., mobile gaming grew from 75 million to 101 million players across all platforms over the past year. But the most important fact is that paying customers are also increasing, growing over 35% to 37 million players. But here comes the bad news; all those folks playing all those games are paying 5 TIMES more money in iOS games than they do on Android. 5 TIMES. Think about how big Android has grown, and then let the absurdity sink in. An astounding 84% of all mobile gaming revenue is going to Apple. Apple is killing Google at mobile games. Why? It's quite simple: unlike on Android —where every billing purchase leads you back to Google Play to confirm payment information – the iPhone only requires users to enter in a password in order for the transaction to take place. It's that simple. Just enter a password and the purchase is yours. No wonder so many people are buying so many things on their iPhone: it doesn't feel like paying money, it feels like entering your e-mail address. Apple has created a purchasing environment that feels stress-free and – more importantly – entirely abstract. It feels like you're buying things with Monopoly money. Whenever I buy anything on Android, I am instantly aware that I'm doing so. Not only does the system check my payment information, but it redirects me to Google Play, where I have to click confirm and then wait for my order to process. On the iPhone, that process is instantaneous. According to Newzoo, in-app purchases are where developers really see the money. 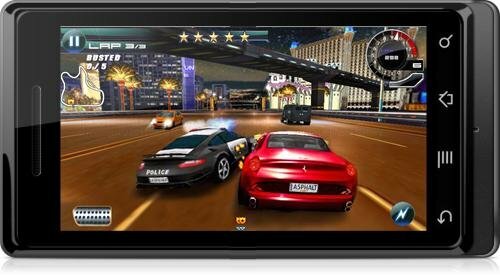 91% of all mobile game revenue comes from money spent inside the game on both Android and iOS. Obviously, this is a HUGE deal for developers. If they see that one platform is totally dominating at app revenue, they'll go with that platform. Then Google loses out on talented developers, and reviewers say Android's app ecosystem is inferior and the cycle just continues. If Google would just fix this ONE thing – by making the process of app-purchases more seamless, and only requiring a password to do so – they could bite back at Apple. Until then, Android developers will continue to suffer huge losses. interesting because when I go to the Google play store & it buy an app it just asks to accept or cancel. I don't have to put in a password at all. When I go to the itunes app store & it and select an app to buy it asks me for my itunes password. So it would seem that Google is actually easier to buy from. It would seem that the article is lacking some information & the commenter's here do not use the itunes app store. Also Itunes makes you enter a credit card to when you first start using their store. So everythings ready for the impulse buyer. I see your point if Google's Play Store would be modeled after Apple's ease, people would prolly buy more. While employed in a sales position, I was taught the easiest you make the entire experience for the customer, the more you should sell. This is true. Thus another piracy industry was born.........a lot of money was made hacking the signal that could have gone to the providers. We are supposedly a global community, It's time we started to act like it. I think you missed one major point. ITunes cards. They are so easy to get. Every corner store has one. A kiss can go buy one with his allowance. When my daughter had an iPod we would always buy her iTunes cards. Google on the other hand as we all know require a credit card. Nuff said there! Nick, I totally see your argument. In a way, Google is protecting consumers by forcing them to confirm purchases on the Google Play store. At the same time, I see many drawbacks to your argument as well. If people pay less in-app, that leads to a loss in revenue stream for developers, and what's bad for developers is bad for us, the consumers. > It feels like you're buying things with Monopoly money. "Monopoly money" - that's an appropriate metaphor because, hey, iSheep are simple and they need a simple way to pay. They need, literally, a "mindless" experience, so simple and easy to swallow (like Kool-Aid) that the user doesn't actually need a "mind" to process what they're doing. That's one thing (among many) I've always hated about Apple. It dumbs everything down to the level of a children's game. Apple is the Fisher-Price of the tech world. Overpriced toys. And, as everyone knows, anything that appeals to children will make a motza. 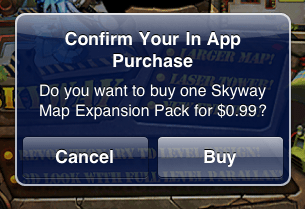 > Whenever I buy anything on Android, I am instantly aware that I'm doing so. Frankly, I think that is the better, and more adult, experience. If I purchase something, I want to be fully aware of doing so. I don't want to feel that the money has been sneakily sucked out of me by a system so oily slick that I don't even feel its presence. And another thing is, that everything you have to do to get a paid app for free is remove a check mark in the settings. Yeah that's a BIG issue. AND Google Play Music, Books and Movies isn't available anywhere outside a few countries. Missed revenue for sure, although I'm guessing copyright laws prevent Google from doing anything about this in the near future.